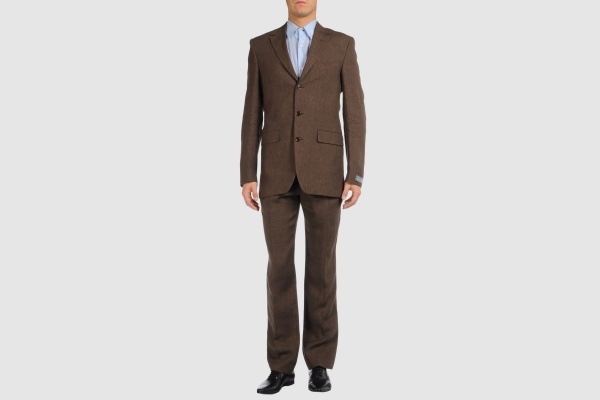 Azzaro produces this gorgeous brown linen suit, a more serious number for the summer. The linen construction is a lightweight option perfect for the warm weather, while the brown coloration lends the suit some gravity and seriousness. A wonderful three button, notched lapel suit, available online now.